Release Day for The Storyteller and Her Sisters was yesterday! 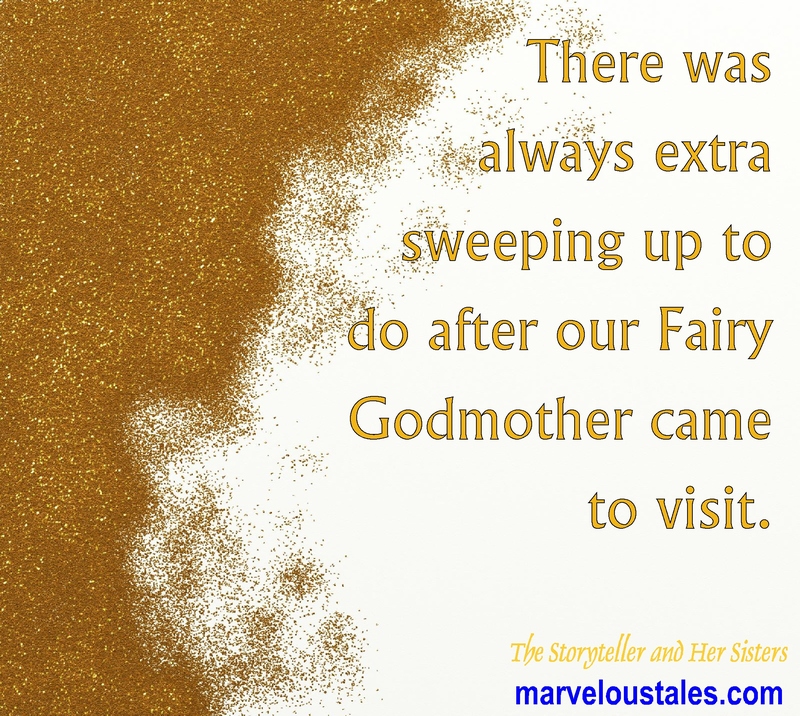 The book features a Fairy Godmother, and in my series, Good Fairies preach a lot about spreading goodness and light…and travel around in a cloud of sparkles everywhere they go. Inspiring this week’s Imaginary Illustration! Happy to have got both books yesterday, Cheryl… just hope they can get onto the currently reading list by this time next year! That’s wonderful! I hope you enjoy them, whenever they make it to the top of the list. Very appropriate illustration for the quote. I like it.